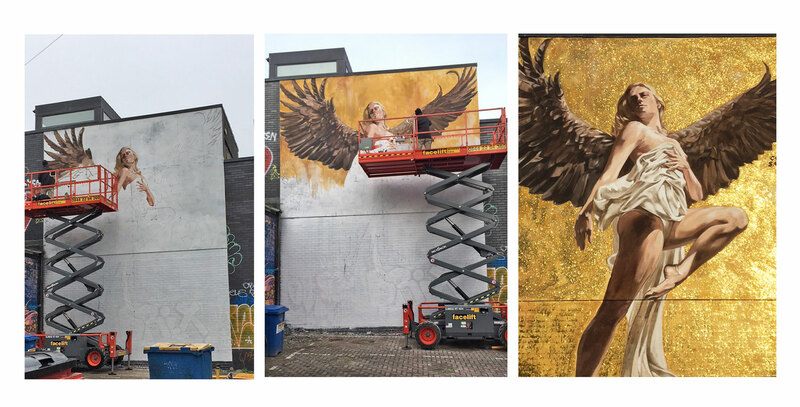 Famous mural creator, Cosmo Sarson, has unveiled his latest work early in 2018, The Angel of Brighton – and he used the rear of Domain Architect’s offices in Brighton Lanes area as a canvas! An incredible feat and stunning art, Cosmo used traditional fresco techniques to create this masterpiece. It is painted in memory of his father and symbolises rising from the ashes of 2017.